refund.me, the international service provider which helps passengers claim their right to compensation for flight delays, cancellations, missed connections and diversions, has announced its newest international expansion to India, France and Poland. With an estimated combined annual traffic of 300 million passengers, these three markets represent a significant milestone in refund.me’s mission to defend passenger rights worldwide. refund.me’s website, widget and mobile app are now offered in five languages: English, German, Spanish, French and Polish. The cloud-based, largely automated and specially developed system provides passengers a real-time assessment of their claim based on refund.me’s worldwide flight monitoring. The system also relies on an algorithm which takes into account the complex EU regulation which defines compensations of up to € 600 (£510) for flight delays, cancellations, missed connections and diversions. In light of its success in its first year of operation, refund.me has lowered its commission to only 15% (plus VAT) of successful claims. This comes as refund.me continues to strive to become the traveller’s best friend and to make passenger rights more accessible worldwide. The company will continue to operate on a ‘no win, no fee’ basis which includes going to court at no extra cost to enforce valid claims. In April of this year, refund.me also launched in the UK, US, Spain, Argentina and Mexico in its push to become the international traveller’s best friend. This international expansion to three rapidly growing travel markets comes as refund.me is celebrating its one-year anniversary today, July 24th. After its launch last year, refund.me received its very first claim the following day and has gone on to process claims from 73 countries, 153 airlines and over 260 airports, winning passengers’ trust across the planet. Likewise, it has been recognised by the Sabre Travel Network for its innovative business model and its utility for travel agents and travellers alike. Moreover, refund.me has rolled out its brand new 2.0 widget, offering affected passengers a more user-friendly and accurate service. Indeed, since its birth a year ago, refund.me has consistently worked to improve its product and is proud to unveil this new widget which will help passengers effectively claim their right. 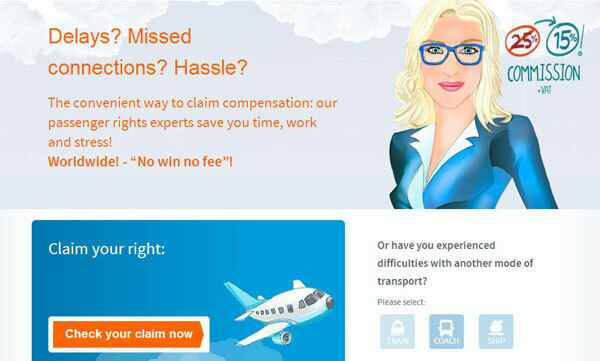 Despite a recently proposed revision to EU Regulation EC 261/2004 which could increase the threshold for compensation to 5, 9 or even 12 hours, passengers can continue to conveniently claim their right thanks to refund.me. The process is simple: To file a complaint, the affected passenger quickly fills out an online form, and refund.me handles the process from there. The customer is only required to pay a now reduced 15% commission (plus statutory VAT) only if the claim is settled successfully. This allows passengers to avoid the complicated and time-consuming bureaucratic process and claim up to € 600 (£510) simply by entering their flight and other data in the Advanced Business Logic (ABL) of the cloud-based refund.me system.